Northwestern State assistant coach Amy Hooks has accepted Lamar's head coaching position. Hooks coached at NSU under Donald Pickett for six seasons. 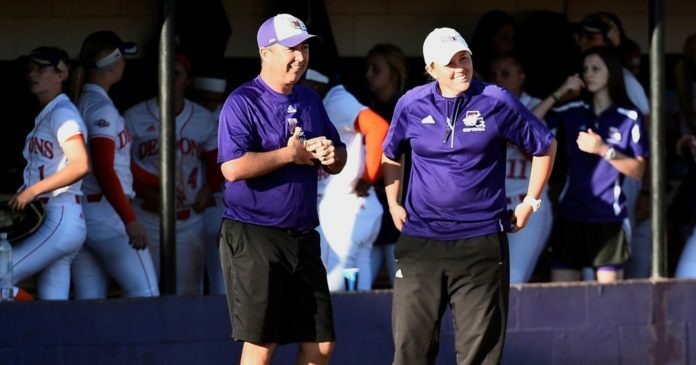 Northwestern State assistant softball coach Amy Hooks has accepted the Lamar head coaching job, the Cardinals announced Wednesday. Hooks has coached under NSU’s Donald Pickett for six seasons in Natchitoches, working closely with the infield and catchers. The Mesquite, Texas, native added pitch-calling duties to her plate this past season. “Amy has put in a lot of hard work in her six years with me,” Pickett said. “We always knew this day would come sooner or later, and she’ll do great there. Hooks has been on staff for all five of NSU’s Southland Conference Tournament appearances in the past six seasons, including tournament titles in 2013 and 2014 with a regular season championship in 2015. The University of Texas alum finished her career as the Longhorns’ home run leader (36) with many other top 10 statistical career rankings.